Busy busy busy. The agenda is full of activities and you barely come to groceries or cooking. Those who are well prepared, however, have some time left. Create a weekly menu and buy everything in one trip to the store. Make a large pot of soup on Sundays and freeze it per portion. Buy enough snack vegetables. So when you''re hungry you always have something nice to hand and do not automatically grab unhealthy nibbles. Choose ''easy vegetables'' during the working week: cherry tomatoes, pre-packed lettuce, pre-packed cauliflower and broccoli florets or ripened leeks. Cook for several days at a time and you win seas of time. ‘A healthy and balanced diet’ is one of today’s buzz words. Our Foodplanner has already been helping our users for several years in their search for a healthier, more balanced lifestyle by identifying and monitoring their dietary habits in a personalized way. 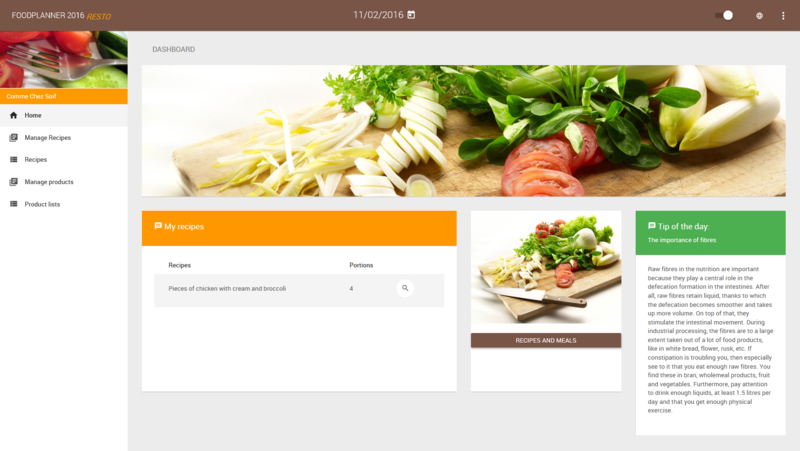 Now we are taking it a step further by creating a restaurant version of Nubel Foodplanner. Via the administration site, you can add and edit new restaurants, users, administrators etc. 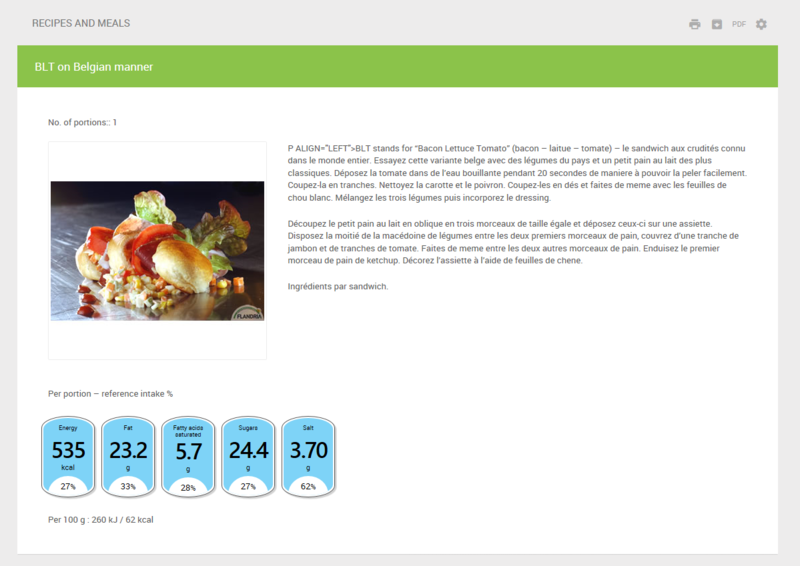 Nubel Foodplanner RESTO provides restaurant owners with a useful tool enabling them to easily evaluate the specific nutritional values of their recipes and to see if these values are in line with the standard reference intake for an adult, equivalent to 2000 kcal (8400 kJ).